Kids will love making a splash at our oceanfront Dip+Slide perched above the sparkling Lagoon Pool. Cooling off has never been more fun with two water slides, an enormous dump bucket and water cannons. Surrounded by splish-splash fountains and comfortable seating for parents, Dip+Slide is the perfect setting for seaside family-fun. 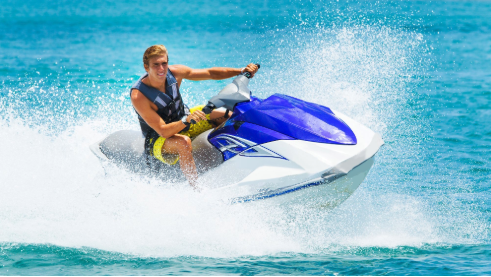 Diplomat beach activities include Jet Ski, Poontoon Boat, Ocean Kayak & Paddle Board Rentals. Book your thrill-seeking water adventures right on our beach. New to paddle boarding? Our experienced team will be happy to provide lessons on basic paddle boarding, paddleboard yoga and more!